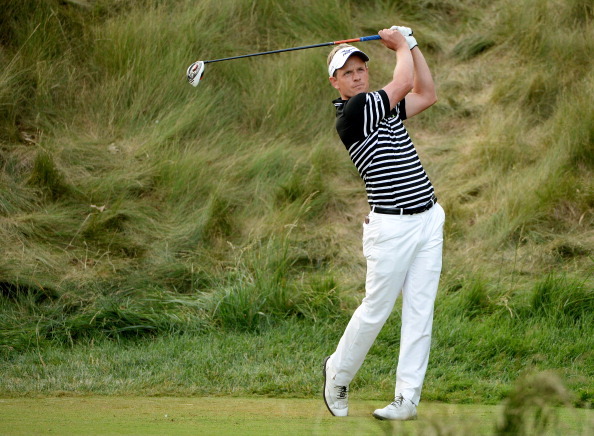 English trio Luke Donald, Justin Rose and Ian Poulter are all still in the hunt at the US Open after Saturday’s third round, but poor finishes left them with ground to make up. They all have the same goals this week at Merion Golf Club. The want to finally win a first major after years of frustrations, to become the first Englishman to win the US Open since Tony Jacklin 43 years ago, and the first to win a major since Nick Faldo 17 years ago. Success for one of them would make him an instant sporting hero back home in Britain and clear the way for further tilts at major titles without the heavy weight of expectations on his shoulders. Both Donald and Rose were in the lead or in a share of the lead during the third round, but Donald closed with a double bogey six and Rose bogeyed the last two holes. Donald said that fatigue could have been a factor in his fluffed approach shot to the tough 18th, which saw his ball disappear into thick rough to the right of the green. He could only hack out to the back of the green and he took three to get down from there. “I should have done better. It was disappointing,” he said. The 35-year-old Donald said that if he had inspiration to draw for Sunday’s showdown, it would be from the player who leads him by two shots — Phil Mickelson. “When you look at Phil, he started winning majors around 34 or 35. So I think that I have some time on my side, luckily, in this game. The inspiration for 32-year-old Rose comes from another source, Australia’s Adam Scott, who finally won his first major at the same age in the Masters in April. “I feel like this week’s been a good learning curve for me. I’ve not stumbled, but I’ve worked,” he said. Rose, like Donald, is two shots behind Mickelson, but says that such is the severity of Merion, especially over the last five holes, that no lead is safe until the last putt drops and he fancies his own chances. “One or two shots on this golf course can disappear in a heartbeat,” he said. “There’s a lot of momentum swings out here. I feel like I’m in great position. The task for Poulter is tougher as the 73 he shot left him six shots off the pace set by Mickelson with nine other players — including Donald and Rose — ahead of him. That was due to an errant tee-shot at the 15th, which he said was the only stain on what had otherwise been a solid enough round of golf. “I hit one poor shot all day; that was that tee shot on 15,” he said.